Lexus shakes the ES awake with an eye-opening ride that drivers of any age will envy. 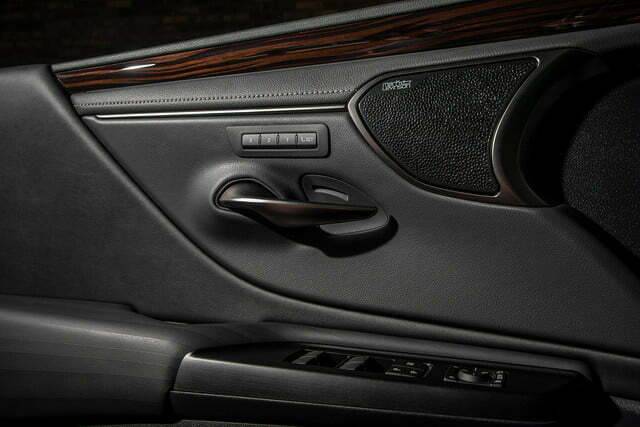 When the Lexus ES was first introduced, it wasssssdjioadndalfkjnlunewe … Oh my, sorry, I fell asleep on my keyboard. What were we discussing? Oh, right, the Lexus ES. You see, the Lexus ES has a reputation for being as devoid of excitement as it is sleep-inducingly comfortable for long road trips. But its undeniable quality and luxury have made it Lexus’ best seller 15 years in a row. If AARP of Fort Lauderdale had a “people’s choice award,” the ES would be runner up, right behind the 1990s Buick Park Avenue. With an average buyer’s age of 64 years old, its reputation is impossible to deny. Lexus wants to change that. To attract younger buyers, the company started completely afresh for 2018 with a design that’s sportier, sexier, and drenched in tech. But can the new ES shake its vanilla reputation to appease the sweet-tooth of younger buyers? 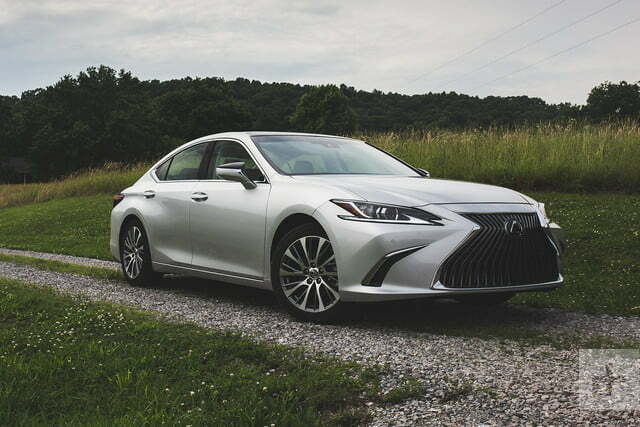 We got a chance to find out and drive all three forms of the 2019 Lexus ES: the standard ES 350, the ES300h hybrid, and an all-new ES 350 F Sport version. Competitors range from less expensive versions of the BMW 3-Series, to the Acura TLX. Lexus says pricing will be revealed later in the year and shouldn’t differ much from the current car’s $38,950 starting sticker. 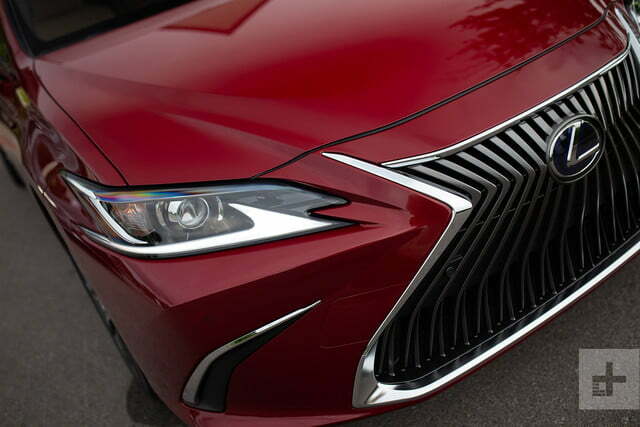 As a product of Lexus, Japan’s premiere luxury automaker, technology takes a front seat in the new ES. All ES models come with Lexus’ Safety System + 2.0, standardizing everything from Pre-Collision System, which can sense oncoming vehicles, pedestrians, and bicyclists during the daytime; to radar-guided cruise control with distance control; Lane Tracing Assist; Keeping Assist; Lane Departure Alert with Steering Assist; Road Sign Assist; Blind Spot Monitoring; a panoramic camera system, and automatic Intelligent High Beam headlights. Technology takes a front seat in the new ES. The optional Mark Levinson 1800-watt hi-fi audio system with 12 speakers is incredible, while the standard system is a not-so-shabby eight-speaker Pioneer system. 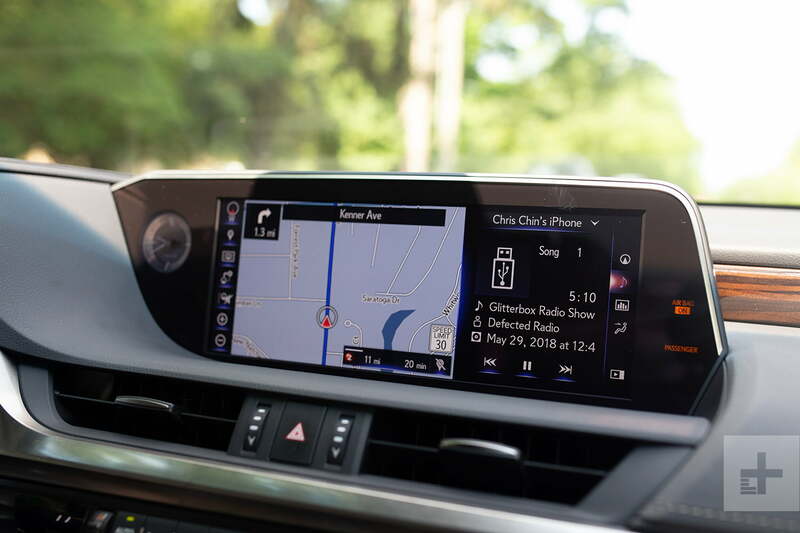 And for the first time in any vehicle, the ES offers in-car Amazon Alexa integration, paired with Lexus’ Enform App Suite 2.0. That means you can ask Alexa to check the fuel level, control the locks, and even start the engine. For the first time in any Toyota or Lexus vehicle, Apple CarPlay is standard on the Lexus ES. 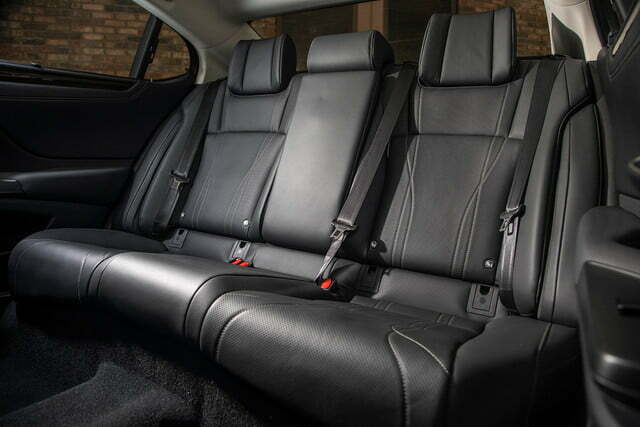 All occupants sit lower, but still get plenty of room as the wheelbase grows by two inches. 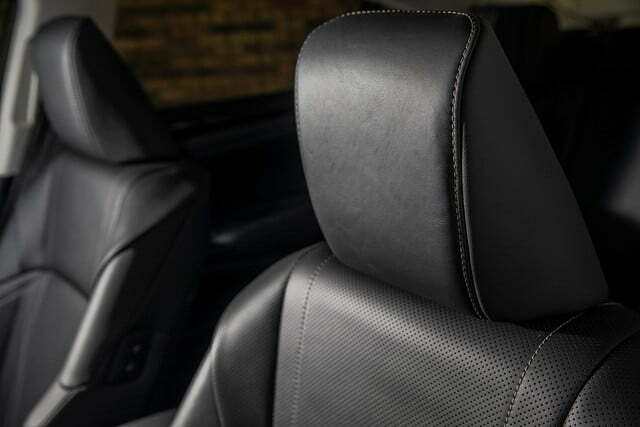 Impeccable build quality continues in Lexus fashion, but cranked up a notch. For once, the switchgear doesn’t feel like it picked directly from Toyota’s parts bins. 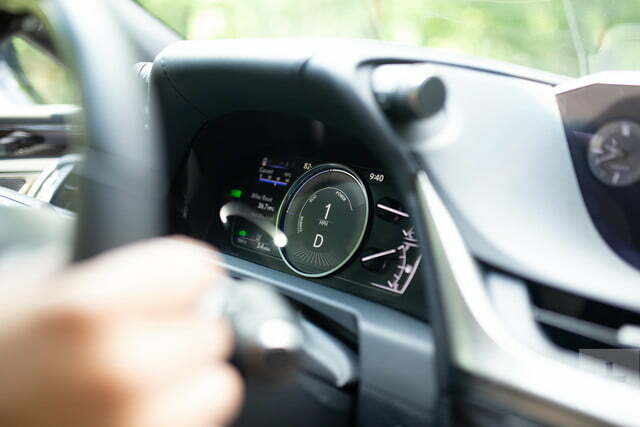 The gauge cluster design varies by model – for instance, the F Sport comes with an LF-A-inspired center tachometer and LCD combination for the main gauge cluster, while the hybrid gains a different display showcasing the hybrid system’s function. 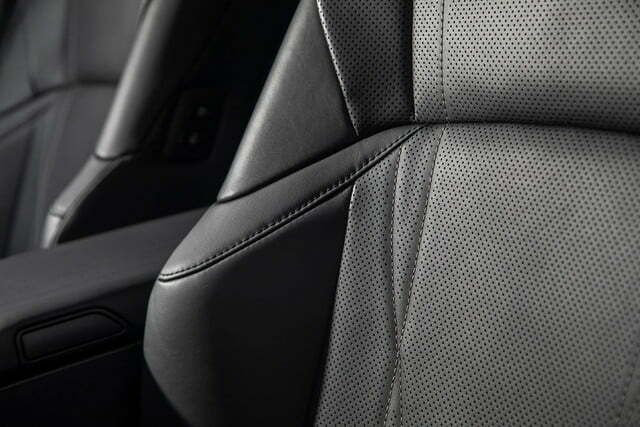 It’s safe to say that this is the nicest, most stylish interior we’ve ever seen in a Lexus ES. 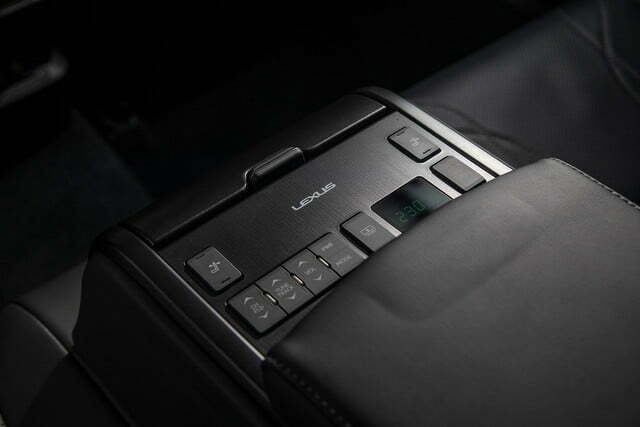 Except for Lexus ES’s infotainment control. It uses a haptic touchpad, which can be difficult to learn, and fussy even when you’re familiar it. The AARP would not approve. Nonetheless, everything is displayed very vividly, and in high definition on a large center stack-mounted screen. Underpinning the 2019 Lexus ES’s new exterior and interior design is a completely new “GA-K platform,” spun from Toyota’s New Global Architecture (TNGA). A few years back, current President of Toyota Motor Corporation, Akio Toyoda, a professed lover of speed and motorsports, promised to reinvigorate the entire range of Toyota and Lexus vehicles with more driving performance and sportier characters. And the results really present themselves in all of the models we drove, from the hybrid version to the all-new F Sport. The Lexus ES in all forms is a genuinely pleasant car to drive and drastically better at handling than the previous model. The new platform lowers the roofline and overall center of gravity, allowing engineers to widen the car’s track and extend its wheelbase. The result is significantly improved handling and road-hugging driving dynamics across the board. No, really, we’re not joking. 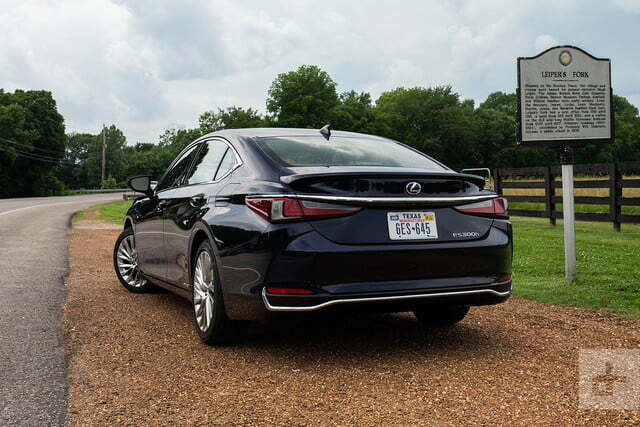 The Lexus ES in all forms is a genuinely pleasant car to drive on some curvy bits, and drastically better at handling them than the previous model. This is also thanks to a special new shock absorber design featuring a new “swing valve” that improves dampening functions and control, translating to way better steering response, vehicle stability, ride comfort, and suspension composure. 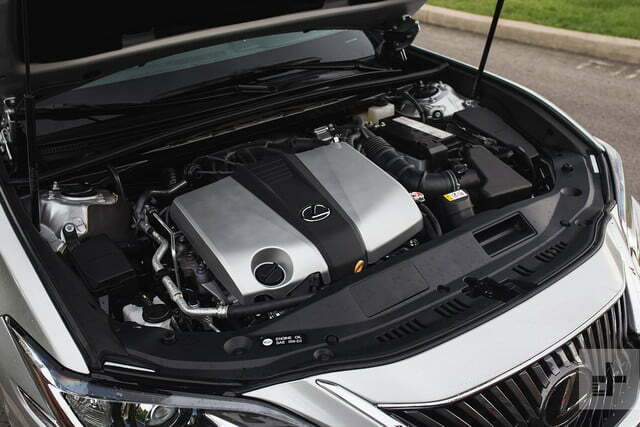 The base ES 350 model is Lexus’ bread and butter, so it can’t afford to mess this one up. The 3.5-liter V6 remains, but with revisions to make a smooth and surprisingly very rev-happy 302 horsepower and 267 pound-feet of torque, up by 34 horsepower and 19 pound-feet from the old mill. 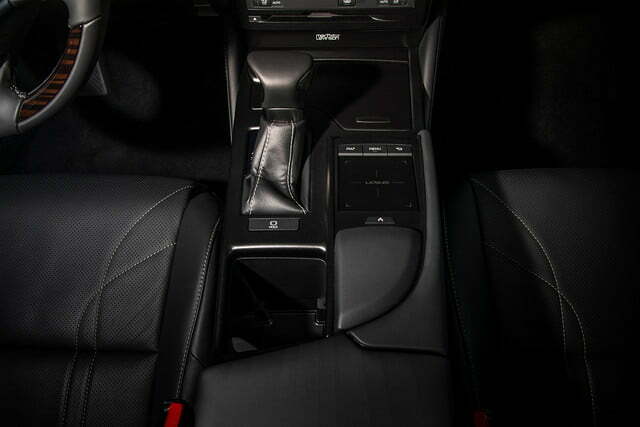 A new, slick-shifting eight-speed automatic serves up a 0-to-60 time of 6.6 seconds. While not as sporty as the F Sport, which gets an electronically controlled adaptive suspension that really works, the standard ES 350 still proved excellent behind the helm. 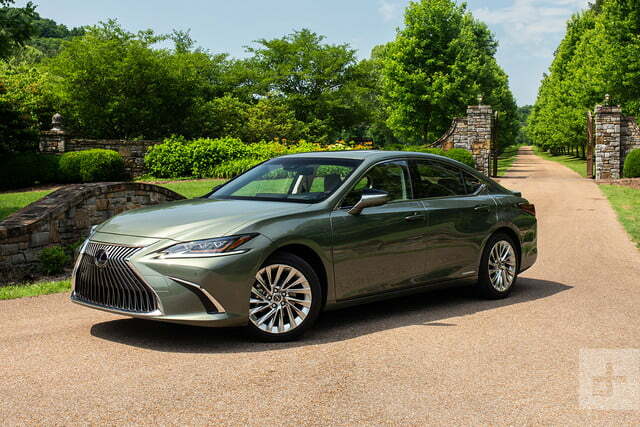 The 2019 Lexus ES maintains the usual gas-sipping four-cylinder mated to an electric motor and continuously-variable transmission (CVT). However, the system’s been entirely overhauled, with the 2.5-liter engine benefitting from upgrades, and a new transaxle that’s 15 percent smaller in mass and smoother with 25 percent less friction than the outgoing version. 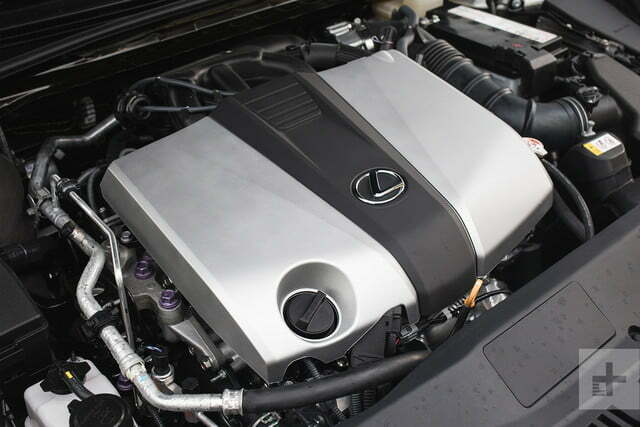 It gives the ES 300h a total system output of 215 horsepower. It might not be the quickest ES of the bunch, but its hugely impressive 44 mpg estimated average makes up for it. We also found the ES 300h to feel better balanced behind the wheel, thanks to a lighter lump at the front. The revised nickel-metal-hydride battery mounted in the floor also takes more advantage of the new platform’s lower center of gravity, resulting in a more balanced feel. 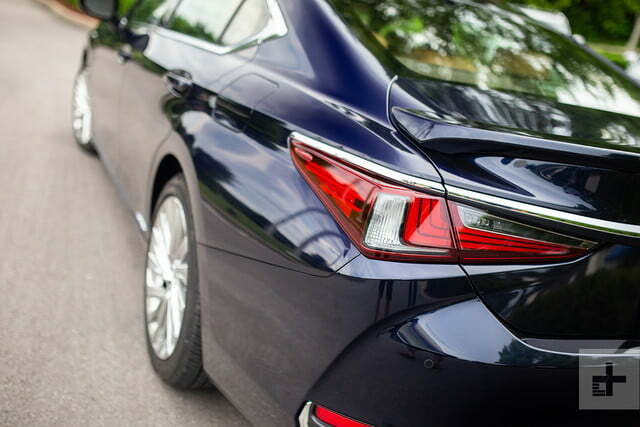 I know, strange words to be said and read about Lexus’ new ES 300h hybrid. Joining the line for the first time is the all-new F Sport model. 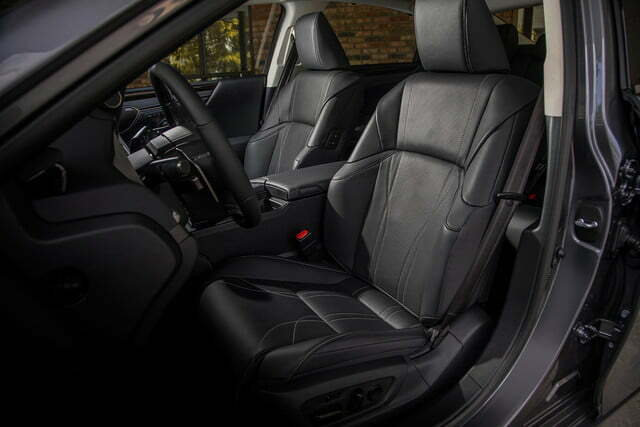 It adds larger, sportier wheels, a more aggressive body kit, sport seats and trim for the interior, and more. But best of all, it adds the company’s latest electronically controlled adaptive suspension. It adjusts thousands of times per second and over 650 possible steps, making this the best-handling ES ever made, without compromising its signature comfort. The F Sport gets the same V6 as the base car. It may not steal any buyers away from those who have their eyes set on something like a BMW 3-Series Sport or a Mercedes-Benz C-Class AMG Sport. But it still impresses in the corners for those who like to drive. Just for kicks, a fellow writer and I teamed up to sample the previous ES 350 against the all-new ES 350 F Sport. While his F Sport competently wound through the twisties of Natchez Trace Parkway, my outgoing ES 350 dramatically screeched its tires out of displeasure from just trying to keep up, even at the posted speed limits. And as the turns got tighter, the older ES just plowed wider and wider, proving to be a complete pudge beside the new ES. The difference is that noticeable. All Lexus vehicles benefit from a 48-month, 50,000-mile basic warranty and a 72-month, 70,000-mile powertrain warranty, whichever comes first. And being a Lexus, or a Toyota underneath, the 2019 ES will be as reliable as a wood-burning stove. Since most of us have a pulse, we’d opt for the exciting new ES 350 F Sport in Nightfall Mica blue to match Digital Trends’ blue theme, with the Flaxen dark-brown leather interior. 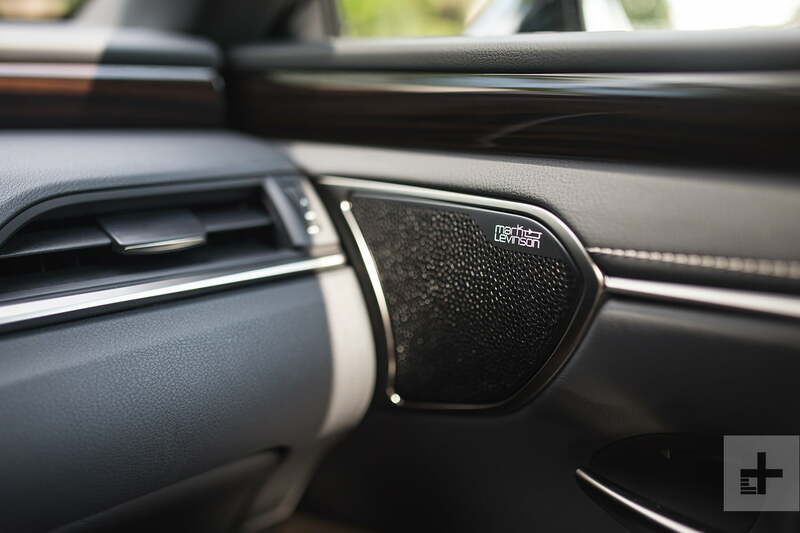 You won’t have to fiddle too much with the option boxes, since the Lexus ES has always prided itself for featuring lots of standard equipment and tech. 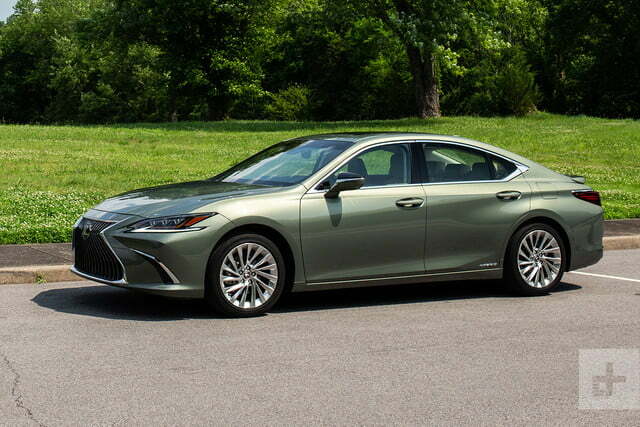 The all-new 2019 Lexus ES completely shatters the old ES’s reputation for being a complete bore behind the wheel, or even to look at. Its dramatic new design is well proportioned and cohesive, without being seemingly over-styled, which Japanese auto designers have a habit of doing. And the changes go more than skin deep, making the newest ES the best-handling model ever. 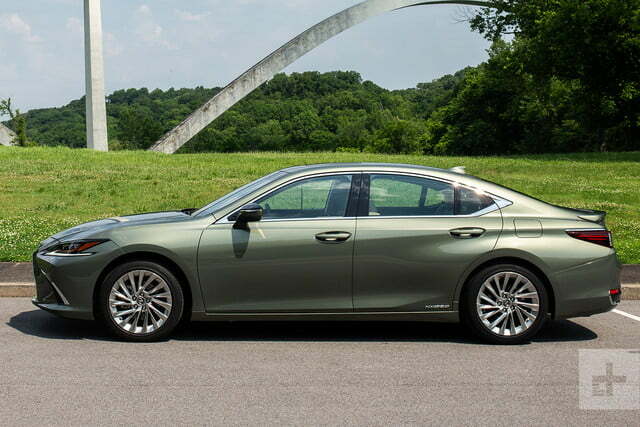 Even for younger buyers, this is now a sedan worth a second look.